The Boss meets Bronte in April Lindner’s remake of the classic Victorian novel, Jane Eyre. Reimagined for 2010, the action shifts to America where a college student turned nanny is hired by an agency for a rock ‘n’ roll celebrity client. Lindner admits that the premise for Jane is based on her fascination with Bruce Springsteen as well as the numerous modern versions of Jane Austen’s works such as Pride and Prejudice and Zombies. While literary purists might not appreciate a pop culture retelling, Lindner’s love for Bronte’s immortal heroine is apparent in this teen-friendly edition. Her take falls more in line with Clueless as an homage to Austen’s Emma and Easy A representing Hawthorne’s The Scarlet Letter. The book is for the texting, gum-chewing, iPod demographic, yet still holds appeal for an audience familiar with the original. Taking a page from The Nanny Diaries, Jane unsteadily begins in the waiting room of an au pair agency. Having just lost her parents in a car accident, Jane is forced to drop out of college and seek employment. She winds up on the gated estate of Nico Rathburn, a world famous musician on the verge of a major comeback. She is hired to care for his preschool-aged daughter, Maddy. The book finally gets going on page 44 with Nico’s first bits of dialogue with Jane. Nico initiates most of the pair’s verbal sparring throughout the novel, but it is more in a I’m-so-busy-tell-me-what-you-want kind of way rather than the fiery debates on morality by the original Mr. Rochester and Jane Eyre. Bruce Springsteen is an interesting choice as a model for the current day Mr. Rochester, vis a vis Nico. Even today, it is quite scandalous to think of a character—having reached his prime in the 1980s—taking up with a 19-year-old girl. Celebrity is depicted as the American counterpart to British nobility. Yet Nico is a self-made man, who did not inherit his wealth. Through drug addiction, infidelity, and scandal, he is battling back to reunite his band for a world tour in order to sustain the lifestyle he has grown accustomed to. Despite his blue-collar roots and current lavish life, he has the soul of an artist fulfilled in his music. He is not as adrift as Mr. Rochester, lost without a cause or a purpose. He is the head of a mini-empire, which depends upon his success to meet its needs. The recent PBS Masterpiece Classics version of Jane Eyre starring Ruth Wilson and Toby Stephens is a better choice for those yearning for the sheer romance of the Victorian novel. Jane is a better fit for those looking for a heroine situated in the tumult of the modern world. It is heartbreaking to witness her poor self-image when comparing herself to the cosmetically perfect women in Nico’s life. Any woman flipping through the Photoshop enhanced pages of a fashion magazine can empathize with her insecurities. She does not hold anything back physically from Nico, nor does she fall into an abject depression upon leaving him. She is a mixture of self-sufficiency and yielding values. The Victorian primness is replaced with a willingness for intimacy, and riotous emotions are translated into a practicality toward survival. In the end, the grand design of fate is whittled down to the serendipity of hearing of a rock star’s song on the radio. 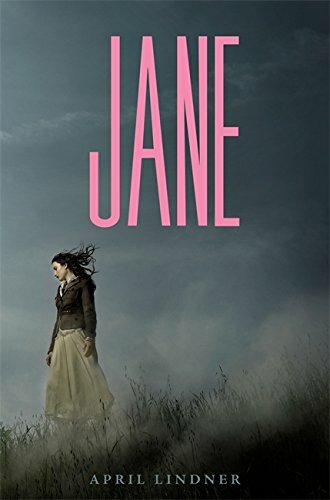 Overall, Jane is a good introduction to but not a replacement for those unfamiliar with the original.